The previous two articles were all about guides and tips, whereas today it’s time to look at two jackets and how they compare to each other. 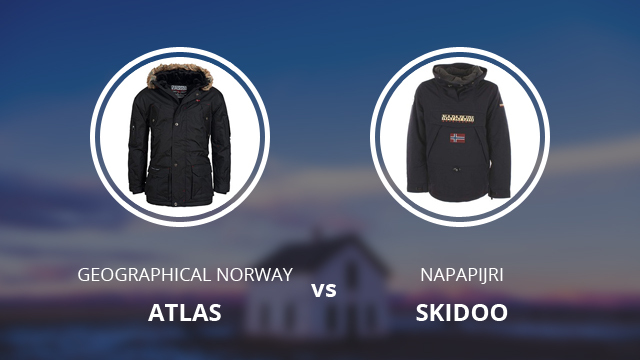 It’s another comparison review, this time between Atlas by Geographical Norway and Skidoo by Napapijri. Neither of the brands is a first timer in our reviews and selections, nor are the jackets. Both of them, Atlas and Skidoo have been previously reviewed on their own. That’s why we thought it would be interesting to look at their qualities and how they compare to one another, after knowing each of their specifics and how they perform. 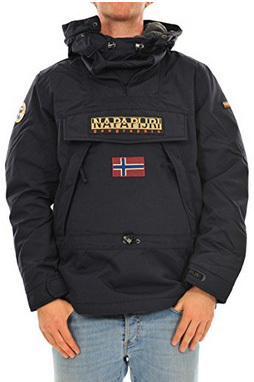 Geographical Norway is probably the most recurring brand in our website, along with a few others, so we doubt there is any need for long introductions. It is one of the top-selling brands online when it comes to outdoor clothing and gear, especially winter jackets. Their designs are always impressive and highly functional, as you will also see in this review. Napapijri is also a European brand, which not only designs winter jackets, but also casual wear clothes and apparel for everyone. It is an Italian brand established in 1987 and now they are worldwide famous for their quality and unique clothing designs. 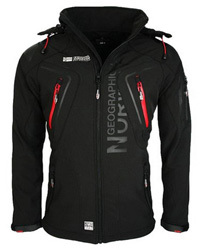 Skidoo is their most renowned jacket design and the brand’s best advocate of quality and performance. Atlas is a 100% Polyester parka that was designed with practicality in mind. It is comfortable, well-insulated and performs beautifully in different conditions. This is made possible due to the design itself, which is made specifically for ease of movement. Unlike with most parkas which are good only as an insulating layer, Atlas easily adapts to your activities and keeps you warm and cozy at all times. 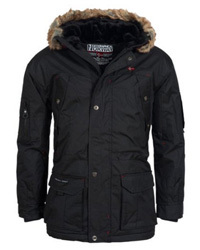 It comes with a hooded and high collar, lined with synthetic fur trim, which keeps the face protected. There are several oversized pockets both on the inside and outside of the jacket, which will give you plenty of room to keep your belongings. 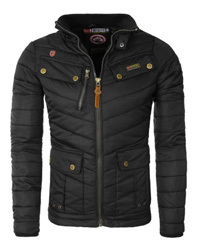 This is a waterproof, windproof and highly insulated jacket, suitable for harsh weather. Despite being waterproof, the fabric is quite breathable, therefore you won’t overheat while moving around in this jacket. It is lined with fleece on the inside, including the hood, and comes with a storm placket, as well as drawstrings in the waist and Velcro fasteners on the sleeve cuffs. Skidoo is lighter than a parka but just as warm as one. It is made of high quality nylon blend fibers and it is fully waterproof, with taped seams. It is designed to look and wear like a hoodie, with a hooded and very high collar and an adjustable waist. There is thermo-regulating padding in it, too, which helps provide and maintain warmth for a long time. Along with those features, this is a very breathable jacket too, which is what makes it so suitable for different activities such as skiing or hiking. No overheating, no discomfort and full protection against the elements. The fabric is known as Cordura, which is highly durable and it withstands different conditions as well as wear and tear, a feature that not many jackets have. It comes with a kangaroo pocket in front, which is a very interesting design choice. These are two very different jackets in their appearance and how they wear. Skidoo resembles a hoodie and you put it on by opening a side zipper, whereas Atlas is a classic jacket, with a frontal full-way zipper. 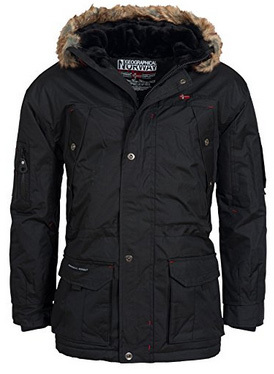 Skidoo is also much lighter and its collar is quite high in comparison to Atlas, which is a heavier and longer parka. Warmth levels are quite similar in both jackets. What Skidoo lacks in heaviness and fabric thickness, it makes up for with its thermo-regulating padding. Atlas, on the other hand, is made of Polyester and lined with quilted fleece on the inside, which maintains the padding in place and also adds another insulating layer. The fact that they are both breathable is also a common feature, which helps further regulate temperature within the jacket. But if we are to pick one that is more capable at withstanding below zero temperatures, it would be Atlas. As for performance, which we refer to ease of movement and the practicality of the design, we would go with Skidoo, due to how it wears, the light weight and the functional design. As we mentioned in both of the jackets, they are waterproof and windproof, with Skidoo having a water column rating of 10.000mm. So, in that respect, including breathability, they are very similar. However, in fabric durability against abrasion, wear and tear and environmental conditions, Skidoo has very few rivals. The special Cordura fabric is able to withstand harsh treatment for a long time. This is also the reason why these jackets are so different in price. With Atlas you are getting a quality parka that performs beautifully in arctic weather and is very cozy and comfortable to wear. Skidoo, on the other hand, comes with incredible durability and high-performance, so you can expect a different lifespan for it. All factors considered, including price, it all comes down to what you need. Atlas is a beautiful parka and it delivers all that it promises. If you are looking for a seasonal jacket that will last you for a few years, then you are all set. But if you are looking for a jacket that you can take with you outdoors without fear of damage or performance loss, then Skidoo would be a good choice. 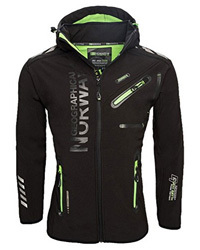 Previous Article← Is It Worth It Buying a Waterproof Running Jacket?